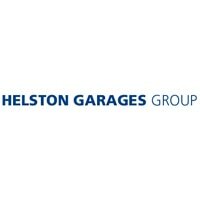 Helston Garages Group is a privately owned, family-run business that sells new and used cars and vans. The company operates over 30 outlets throughout Devon, Dorset, Cornwall and Somerset. Helston Garages dealerships have a tremendous portfolio of the latest models from popular, high-end brands, such as Audi, BMW, Ferrari, Porsche and Jaguar. At Helston Garages, customers will also find new and used cars for sale made by marques such as Volvo, Peugeot, Volkswagen, MINI and Skoda. The group also offers a range of car finance options and vehicle services. The company began life in Helston, Cornwall, as a lone, family-run filling station and repairs workshop that serviced Morris, Austin and MG cars. Founded in 1960 by a Mr and Mrs Carr, the company passed to their son and daughter-in-law in 1975. A Renault dealership in Taunton was the first acquisition made by Helston Garages and from then onwards, the company has experienced fantastic growth to become one of the top 25 UK dealer groups. Today, Helston Garages Group has a wide array of dealers, and a portfolio that incorporates some of the world’s finest car brands. Customers looking to purchase a high-performance car with a bit of a bite are spoilt for choice at Helston Garages. The company has a brilliant range of Ferrari and Audi vehicles, amongst others. Take your pick from the Ferrari 488 Spider or the LaFerrari, or browse amongst the selection of Audi R8s and Audi TTs. Across their dealers, Helston Garages also offers luxury cars from Jaguar and Maserati, as well as city vehicles from MINI, Volkswagen, Volvo and Peugeot. Customers will find an extensive variety of new and used sports cars, convertibles, hatchbacks, coupes and saloons. Helston Garages also stocks value for money preowned cars from the likes of Vauxhall, Toyota, and several other brands.